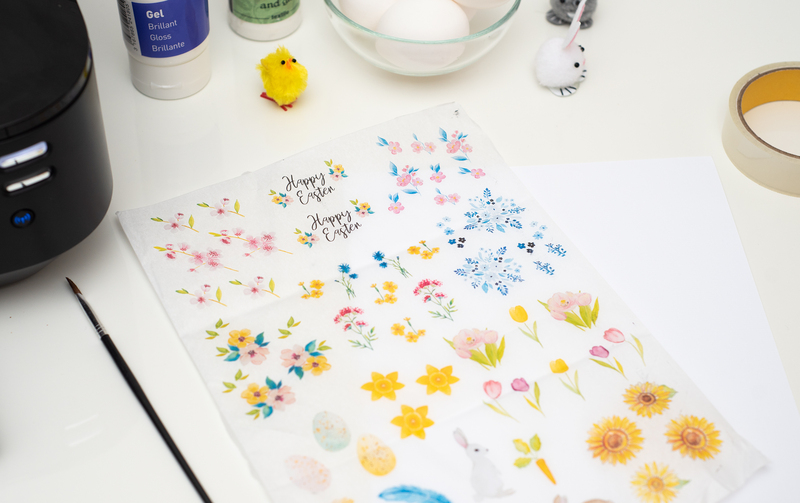 When we started this blog, we told you we want it to be more than just our brand and the inspiration behind the designs. 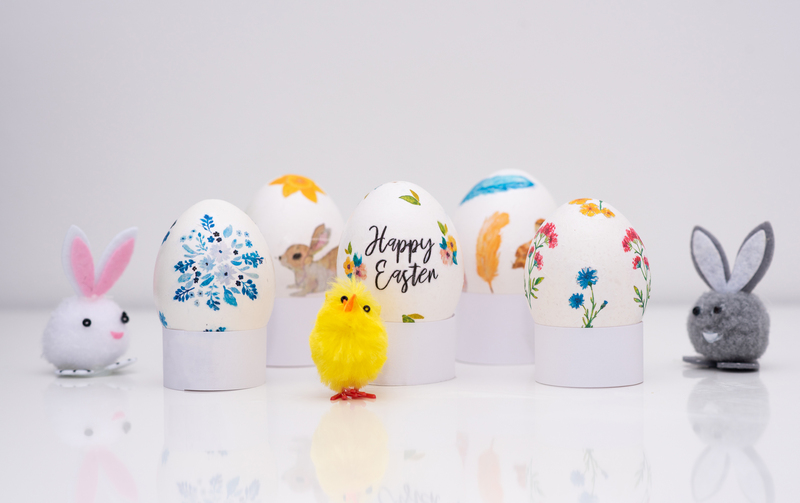 With Easter just around the corner, there is no better occasion for our first DIY project to help you get more colourful and creative over the holidays! 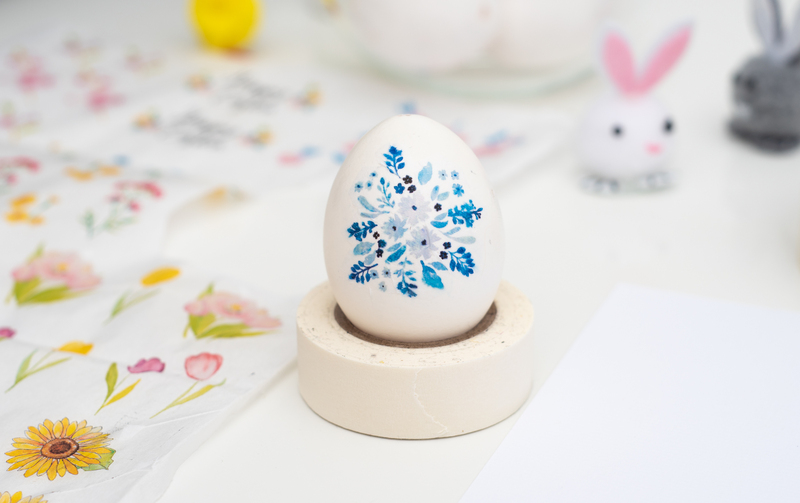 We are going to share with you an easy and beautiful way to decorate your Easter eggs! 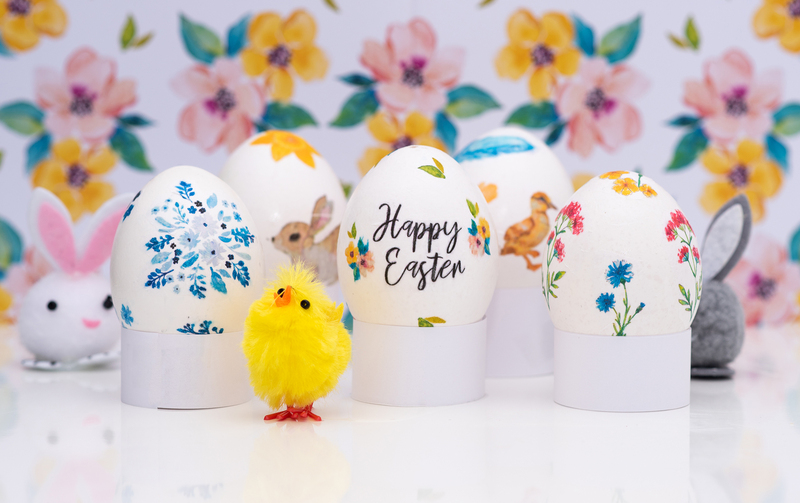 All you need is our Free Easter Template, which is available to download below, a few bits and pieces, and your creativity. 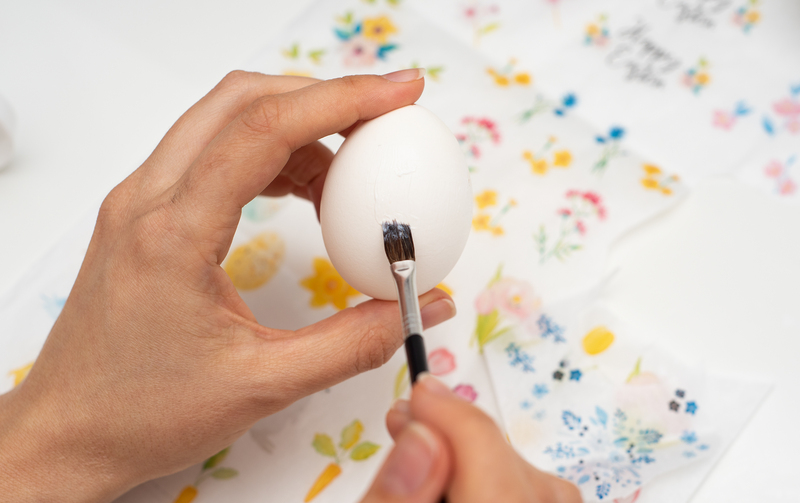 - White Eggs - Pre-blown / Wooden. Download our Free Eater Template HERE. 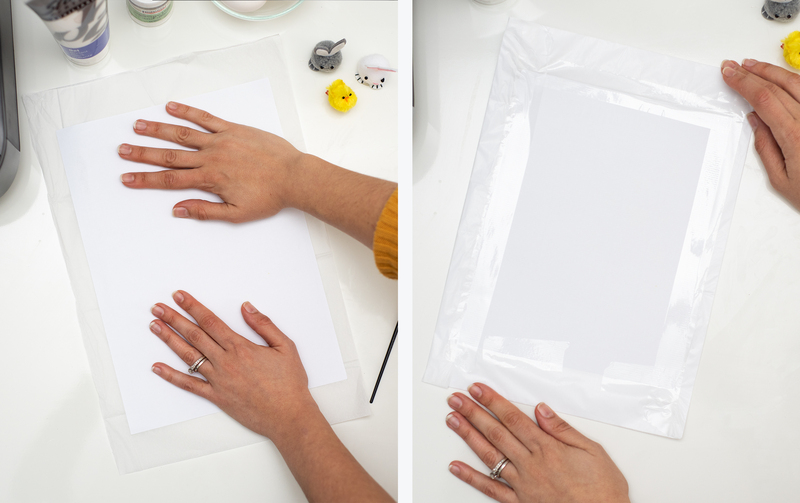 Prepare the A4 sheet by sticking the White Tissue Paper onto the Thick Paper by wrapping it around as shown below. 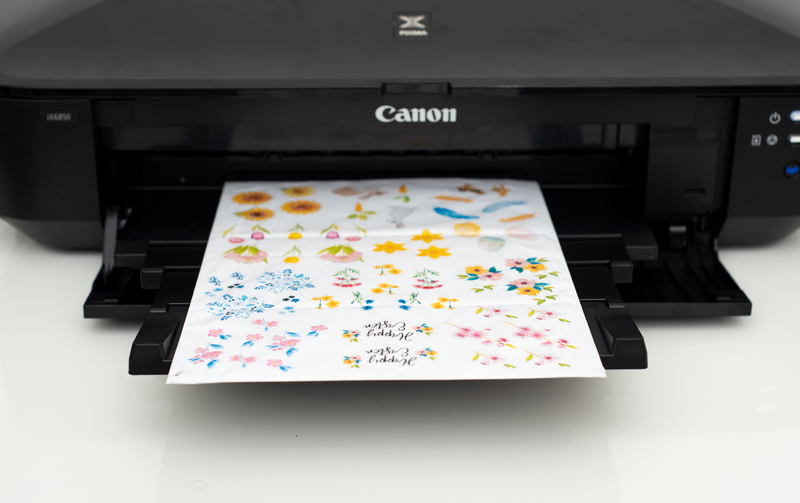 Print the artwork onto the prepared A4 sheet. 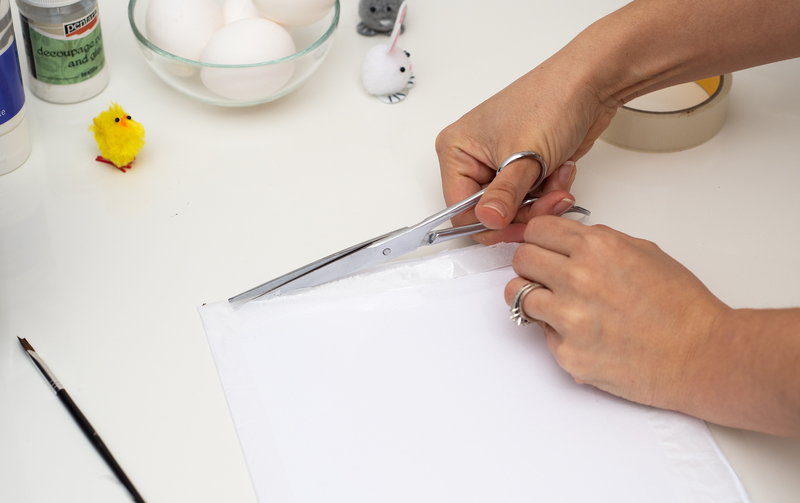 Separate the Tissue Paper from the A4 Sheet by cutting around the edge of the A4 sheet. 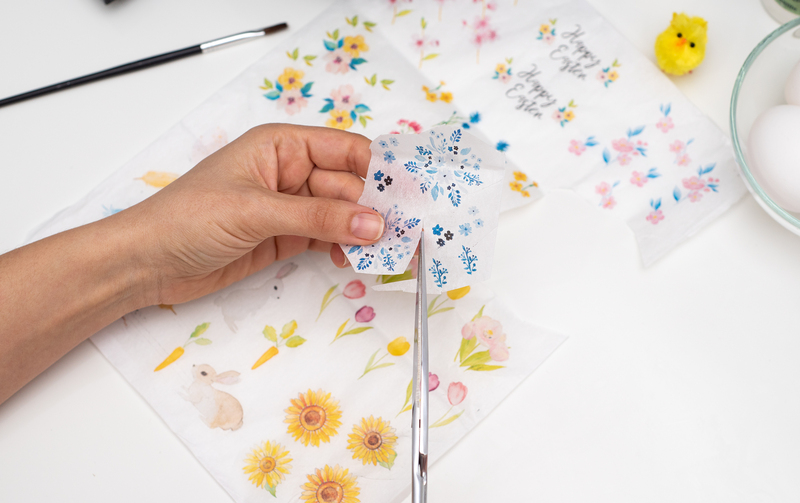 Be careful not to rip the tissue paper! 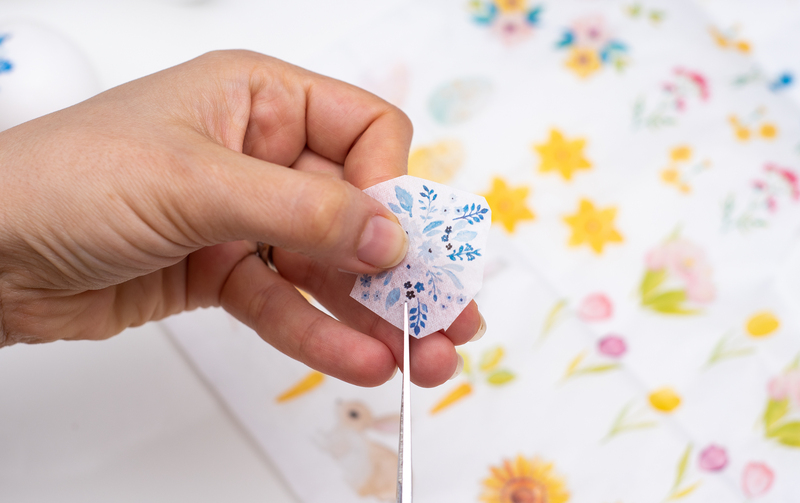 Cut out of the designs of your choice. You don’t have to cut too close to the artwork. 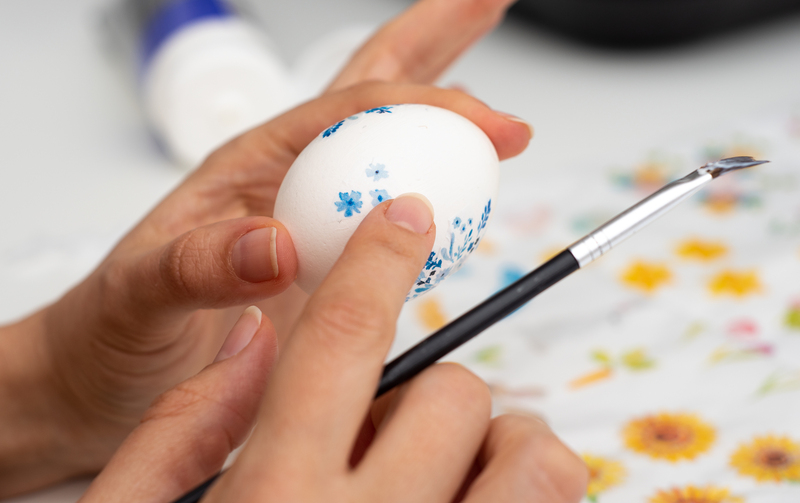 Sparingly, apply the glue to the egg with the brush. 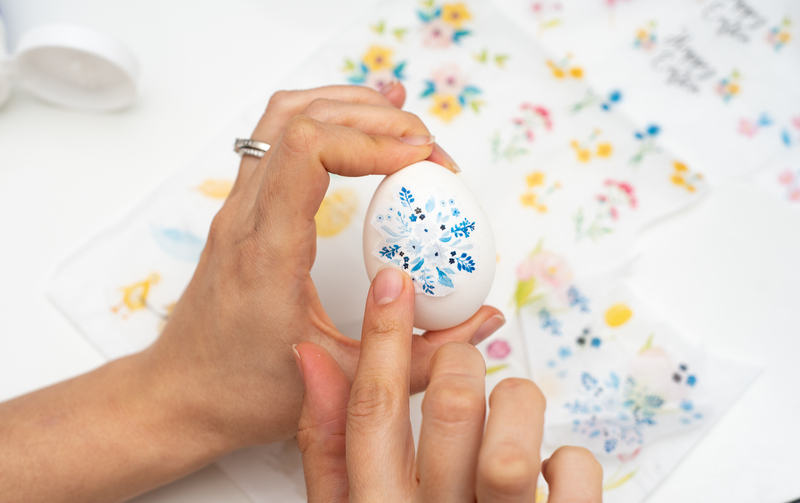 Then place the cut-out on the egg by pressing it with a dry finger. Leave to dry. 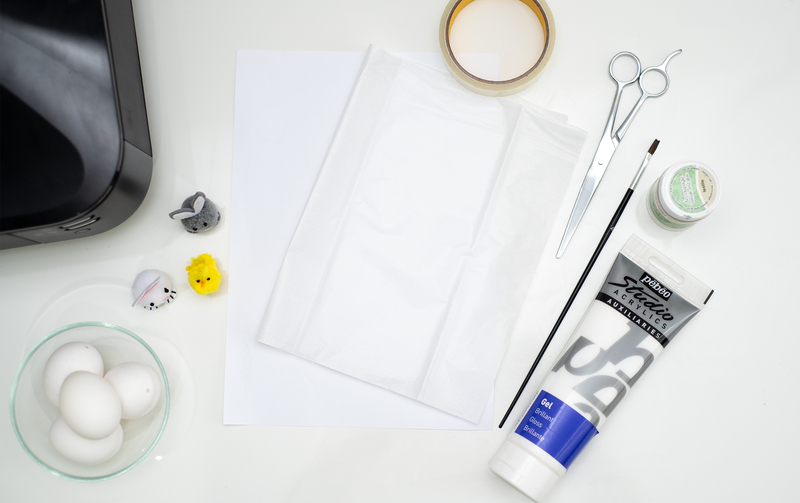 Drying times vary accord to what glue or varnish you have used. Once dried, you can add a top layer of varnish for better fixation. 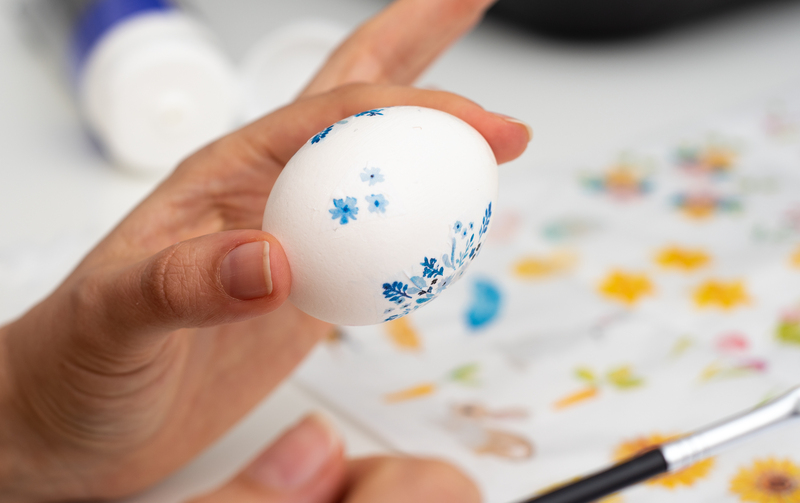 Let dry and Voilà you have your beautiful Easter eggs! How do they look? We would love to see what you have done! Tag us on Instagram @dessi_design. And be sure to comment below and tell us how it went!